Affordable Art, Paintings, Limited Edition Prints, Sculptures & Modern Art Fairs. The Red Rag Modern Art Gallery in Bath offers some great affordable art from the best of today's living British and Irish Artists with a special emphasis on Scottish art. Affordable art is a term used by many people in Modern Art community. The true definition and perception of affordable art is very subjective. But exactly what is Affordable art? What constitutes affordable art is obviously not the same for each and every buyer of Modern art. The amount available to spend on 'Affordable' differs enormously from Modern art buyer to Modern art buyer. What is affordable art for one modern art collector can be unaffordable art for next art collector. 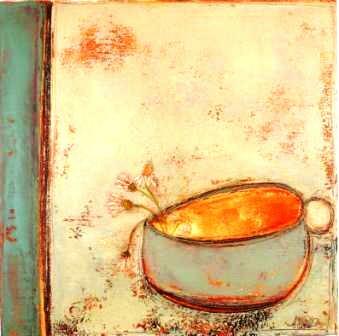 That is why art visitors to Red Rag's Bath Gallery will find a wide variance in the price of the Modern art on display. Despite the general view that what constitutes affordable art is paintings, Sculptures and Limited Edition Prints for up to £3000 ' Red Rag takes a different view. The Bath Art Gallery recognises that most people are unable to regularly purchase 'affordable art' at anywhere near the £3000 price band. As a result Red Rag offer a wide choice of value for money Modern art and it is often possible to find affordable art from the gallery artists with prices starting from around £250. In addition there are other Art Galleries in Bath also offering many art buyers on a budget paintings and sculptures at more affordable prices. An alternative way, from modern art galleries, of finding affordable art are the graduate art shows. Graduate art shows are held across the UK each year. Art colleges stage and host exhibitions for their final year art students where the majority of the art on display can be bought. Although purchasing modern art from art students at the start of their career is generally more affordable than art galleries the quality of art displayed is varied. Some students also have a highly inflated view for the price of their art work. This means buying art from graduate shows is not always the best Art Investment. Very few art students go on to make it as successful and collectible professional artists, so if future art values are of interest buying affordable art from more established artists is probably a better option and certainly a less risky investment. It is important to remember just because a particular piece of Modern art is affordable it does not necessarily make it value for money. For most people buying Modern art is a long term decision and a luxury. Modern art buyers should carefully consider if they will still enjoy the art in 10 years time. If the answer is yes then hopefully the art piece will be both value for money and affordable art. The Internet should be a fantastic way to find affordable art. There are hundreds of modern art related websites many proclaiming and displaying affordable art ' at the last count there were over 20 million references showing on Google for the term 'Affordable Art'. The sheer size of such alternatives is daunting plus the majority of these websites are artist owned and many purely Internet 'Art Galleries'�. The quality and service of many websites is extremely variable and Modern art buyers are advised to be cautious. There are various art fairs which are targeted at buyers of affordable art. The most well known is the 'Affordable Art Fair' which is held in London. There is also an Affordable Art Fair which takes place at Bristol each year. It claims to be the largest art fair in the West of England with participating Bristol Art Galleries and Art Galleries from further afield. All art works featured at the Affordable Art Fair' is priced at less than £3,000. The Affordable Art Fair's formula is relatively simple: a relaxed, unstuffy environment and a price ceiling of £3,000. There is a huge array of paintings, sculpture, photography and art prints. Other art fairs follow a similar format. Browsers of affordable art at Red Rag are guaranteed a wide choice of high quality paintings, sculptures and art prints which will not break the Bank. 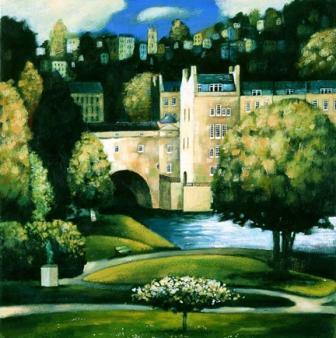 Demand for affordable art has also encouraged the Bath art gallery to offer fine quality Limited Edition Prints and these are always readily available from the gallery in Brock Street or can be bought from Red Rag Modern Art website. There is an extensive choice of affordable art in Limited Edition Prints at Red Rag Gallery. Modern art prints start from less than £100 for framed limited edition prints. Many of the gallery artists have their work available in form. Click the link to see the full collection of Red Rag Limited Edition Prints. Art prints at Red Rag are available from: Richard Adams , David Farrant, Mary Fedden, Sasha Harding, David Inshaw, Austin Moseley and Paul Robinson. In summary there is plenty of Modern affordable art available. But the real challenge is finding good quality Modern art and affordable prices at the same time. There are opportunities for art lovers to purchase modern art pieces at affordable prices, but it is easier and safer to buy from well established and trusted art professionals such as Red Rag Gallery.